I am a collector by nature. I'm always on the lookout for some funky piece that I haven't seen anywhere else. The problem is, you can only collect so much before it starts to take over your home. So I had to make a decision--quit collecting (which I knew I wouldn't do!!) or find interesting things that I could actually use. It's made me a much more discriminating buyer because I not only have to love the piece, I have to have a purpose for it. Here are a few of my favorite finds. 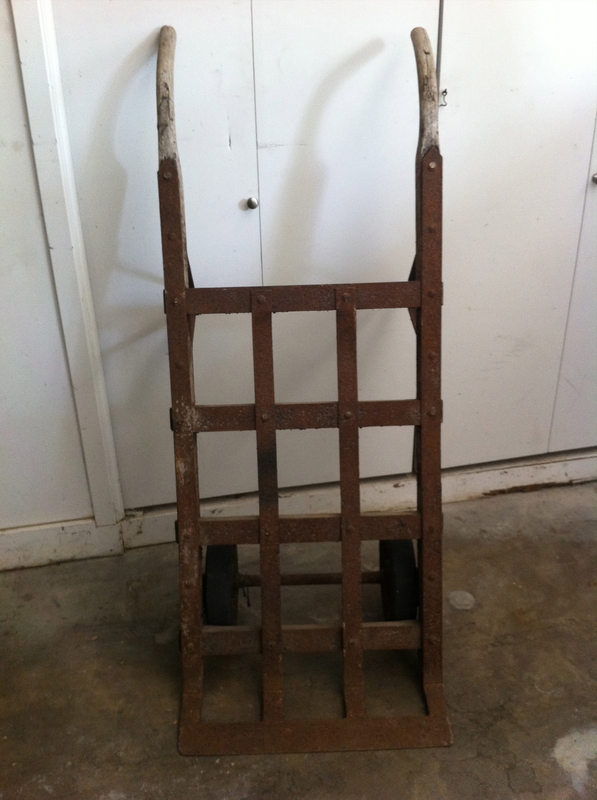 I found this old hand cart in a junk shop. It has wooden handles and it's made of metal strapping that is now rusted and red. Too good to pass up. 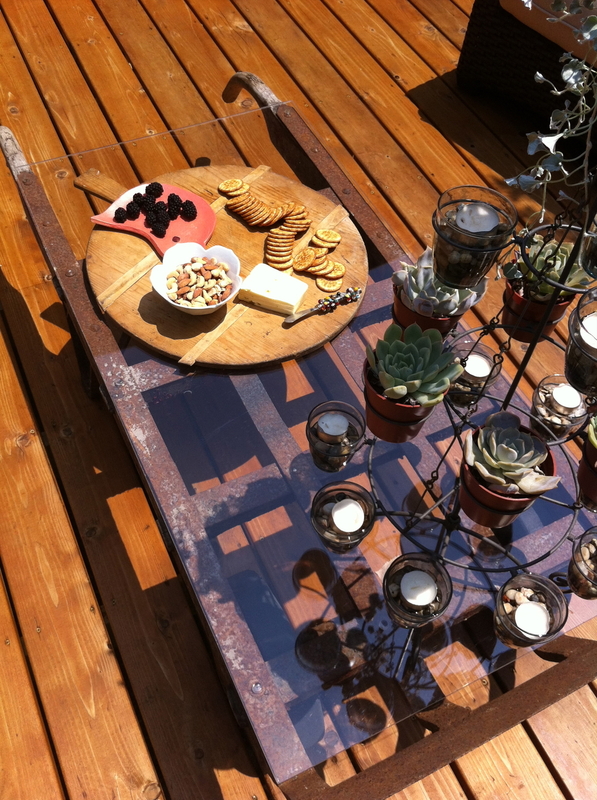 When I brought it home, I had a piece of plexiglass cut for the top and it became the table for our deck. I love it! 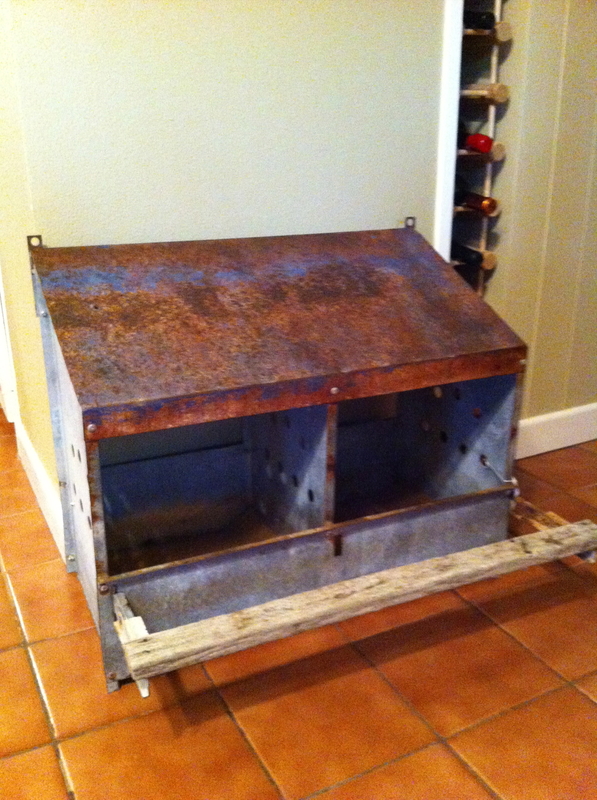 I found this old metal nesting box at a new favorite junk shop. I have chickens, which is probably what attracted me to it in the first place. The problem is, my chickens nest in their coop which is right where I want them to stay. So what else could I use this for? It became the perfect shampoo, soap and towel caddy for my outdoor shower. Again, I love it! 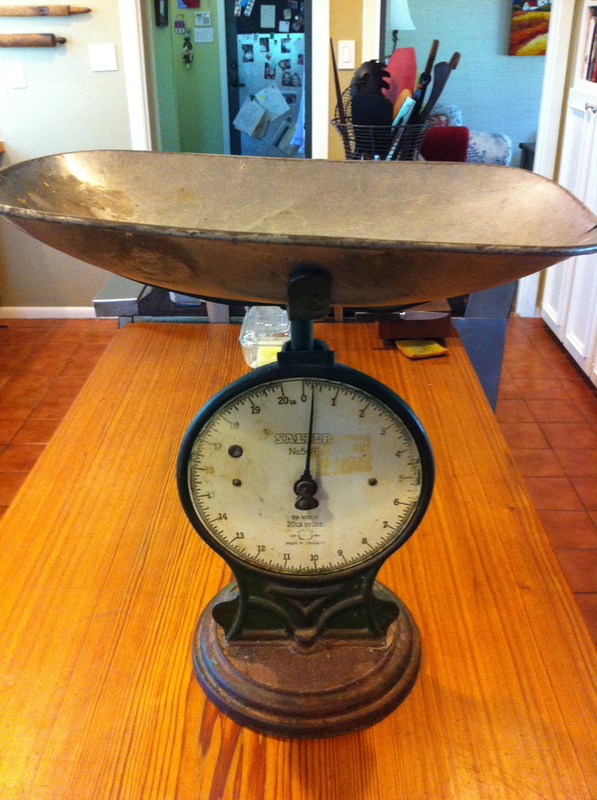 I inherited this old scale from my brother, so it is a sentimental favorite. 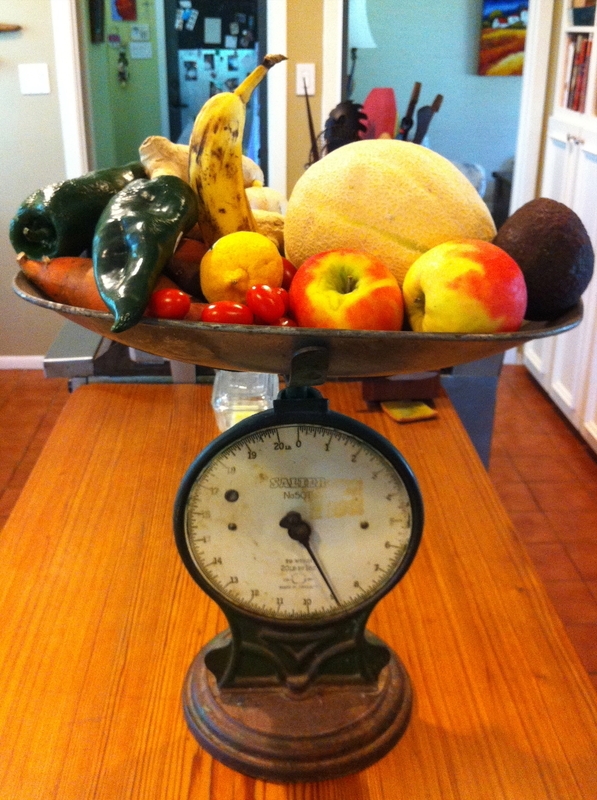 It sits on my kitchen counter with any fresh produce I have that doesn't need refrigeration. Practical and charming! 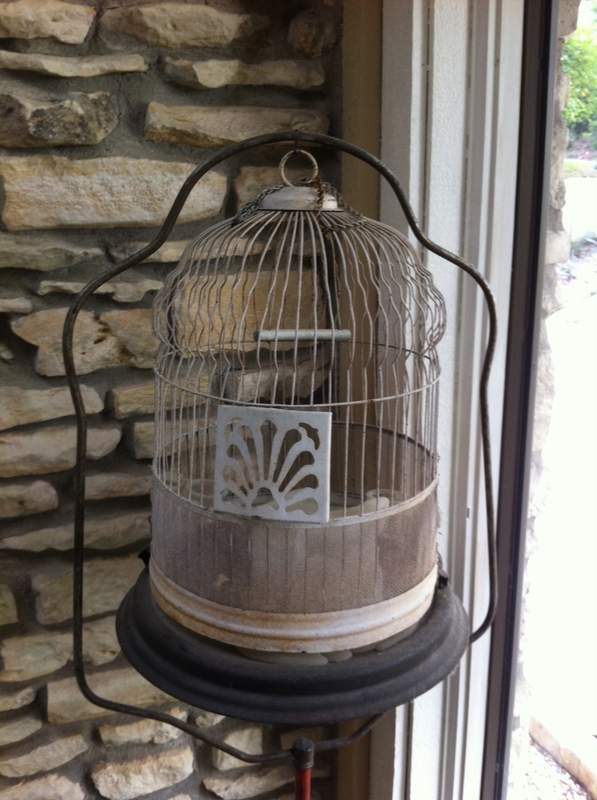 This old bird cage was a gift from my parents. Why a bird cage? I just love them. 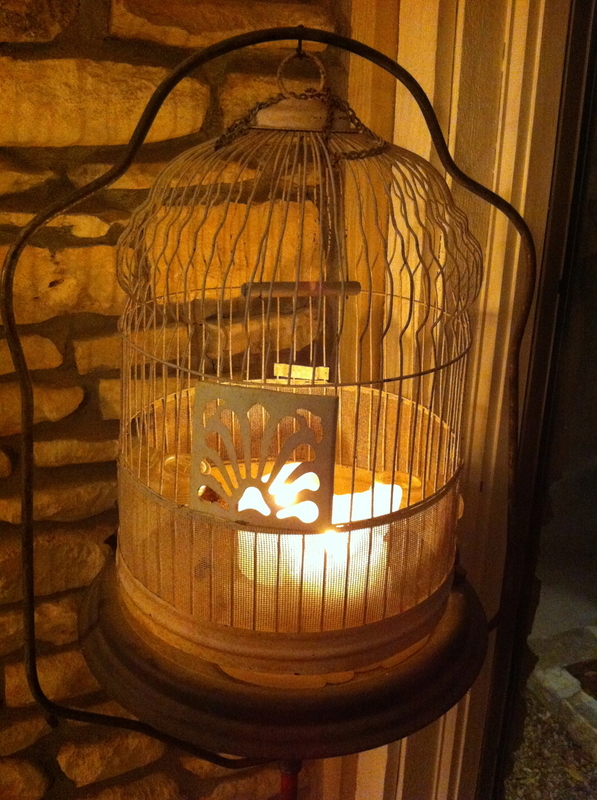 It sat in my sunporch for years just being itself, when one night while giving a party I realized what a great candle holder it made. It's had that job ever since. Of course not everything in my home has a dual purpose, but now I love the challenge of trying to give things new function. Some things are obvious, others take a little more imagination. I know this for sure--it has made my treasure hunting a whole lot more fun and rewarding. Try it! If you like it you really can't go wrong. 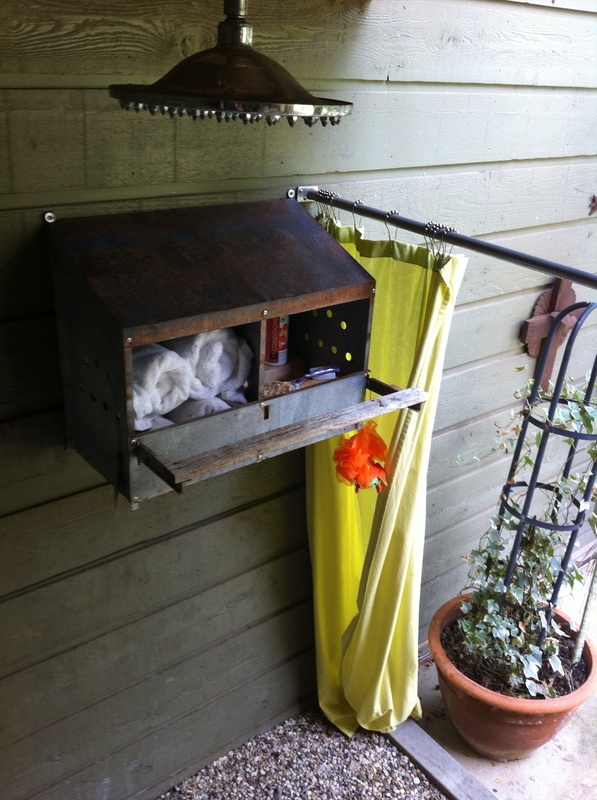 Posted in Around The Home and tagged with scale, bird cage, outdoor shower, hand cart, nesting box, repurpose. August 21, 2012 by Lynn Adams.